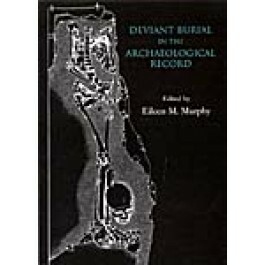 This edited volume contains twelve papers that present evidence on non-normative burial practices from the Neolithic through to Post-Medieval periods and includes case studies from some ten countries. It has long been recognised by archaeologists that certain individuals in a variety of archaeological cultures from diverse periods and locations have been accorded differential treatment in burial relative to other members of their society. These individuals can include criminals, women who died during childbirth, unbaptised infants, people with disabilities, and supposed revenants, to name but a few. Such burials can be identifiable in the archaeological record from an examination of the location and external characteristics of the grave site. Furthermore, the position of the body in addition to its association with unusual grave goods can be a further feature of atypical burials. The motivation behind such non-normative burial practices is also diverse and can be related to a wide variety of social and religious beliefs. It is envisaged that the volume will make a significant contribution towards our understanding of the complexities involved when dealing with non-normative burials in the archaeological record.